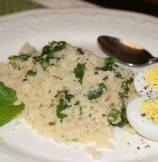 Lemony light and fluffy couscous is yet another favorite quick option in my family for Weeknight dinner! 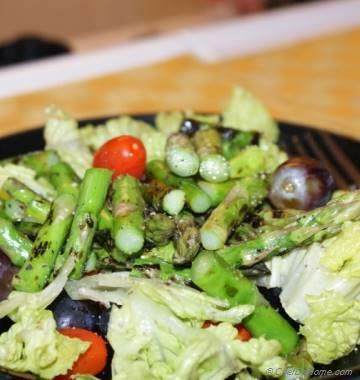 It is also Perfect side dish to meat main course, and a crowd-pleaser for grilling event or party. 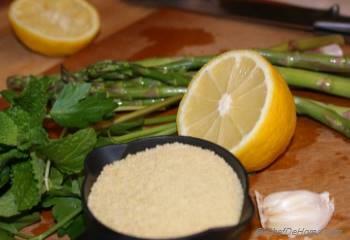 Couscous with Asparagus and Lemon is quick yet healthy, homemade, dinner having delicious food on plate in minutes. 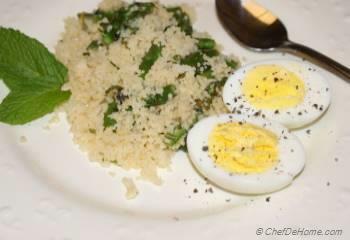 On busy weekdays when I do not have time to cook, instant couscous with hint of lemon and fresh asparagus comes to my rescue. It is so delightful and simple to prepare. Just need 10-15 minutes to get it to dinner table. Plus tastes so amazing that even if when I do not have any meat in refrigerator; a couple of hard boiled eggs save the day. 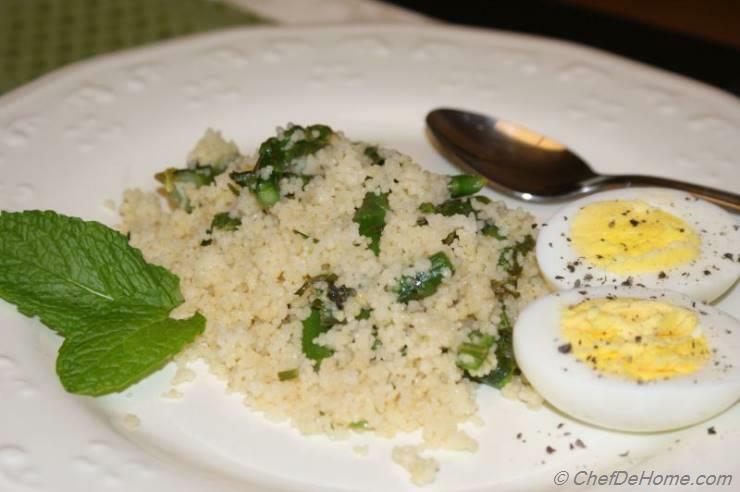 Sharing with you a simple and scrumptious side dish recipe of Couscous with Asparagus and Lemon. Enjoy and never forget to tell me how your family liked it. 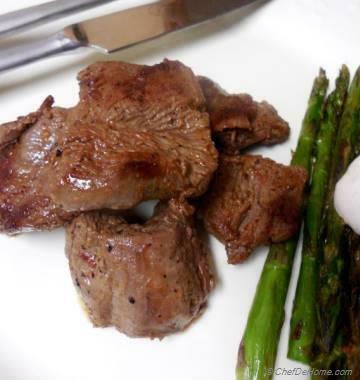 Total Time 15 minutes Prep Time 5 minutes Cook Time 10 minutes Difficulty Easy Yields 2-3 Servings Serves 2 Notes No. of servings depends on serving size. 1. Heat oilve oil in pan. Add minced garlic and let it heat through. Do not let garlic burn. 2. 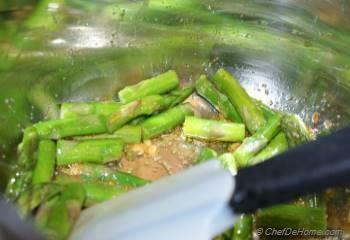 Add diced asparagus and saute for 1 minute. Now add chili powder(if using) and salt. Stir to combine. Add 1 cup of water and bring it to boil. 3. Stir in lemon juice and chopped parsley and mint. 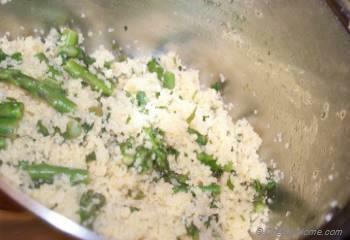 Add couscous and cover the pan with tight lid. Remove pan from heat. Let it stand for 8-10 minutes. Fluff with fork. 4. Serve Couscous while still warm with your choice of meat. I love it with hard boiled eggs or grilled chicken. 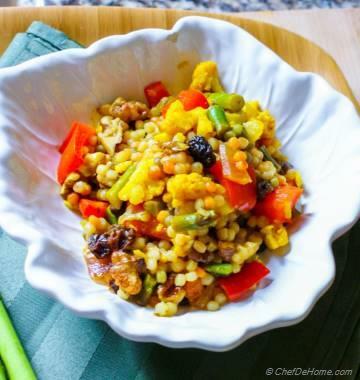 Yummm, this couscous recipe looks so good. I have to try this soon..